Griffel Dorshow & Johnson is a Minneapolis personal injury law firm, practicing in a number of litigation-related areas that range from automobile accidents and worker’s compensation (including work related knee injuries) to product liability and medical malpractice. 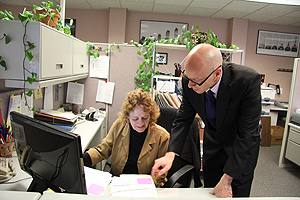 We have been serving the states of Minnesota and Wisconsin since 1981 and our attorneys have over 90 years of combined experience handling litigation matters in dozens of areas. Our goal is to give people the ability to regain control over their finances, care, and their lives as a whole. The legal services we provide are superior. When someone has been injured due to no fault of their own, they need a Minnesota lawyer who knows the law and who knows how to protect the rights of clients and their interests. If you or a loved one have experienced serious injuries due to fault of someone else, it is imperative to hire a Minnesota personal injury lawyer who has experience that is reflected through a proven track record. At Griffel Dorshow & Johnson, we have helped clients reach successful resolutions in their personal injury cases, sometimes being the recipients of judgments that are several times greater than the settlements offered by the insurance companies. But while we work hard to build a solid case to show who was responsible for the injuries that were sustained, we build solid relationships with our clients. We show compassion for the suffering that has been experienced and we work hard to help our clients achieve their goals, whether the goals are to pursue a settlement or go to trial and receive a large monetary verdict. If you don’t want a settlement and you want a monetary award, we have the experience and resources to take your case all the way. We can fight the insurers that seem to have resources that are unlimited. They do have their own attorneys and access to professionals that can try to debunk your claim. Nonetheless, the facts are the facts and what we do is we show what really happened so that the reasons for your injuries are clear. When injured do to no fault of your own, you need a competent and aggressive personal injury attorney ready for anything. You need someone who is going to fight for your rights and your financial well-being so that you can go on with your life. To schedule your free consultation, call us today at 612-529-3333 or fill out our contact form and someone from our office will contact you.